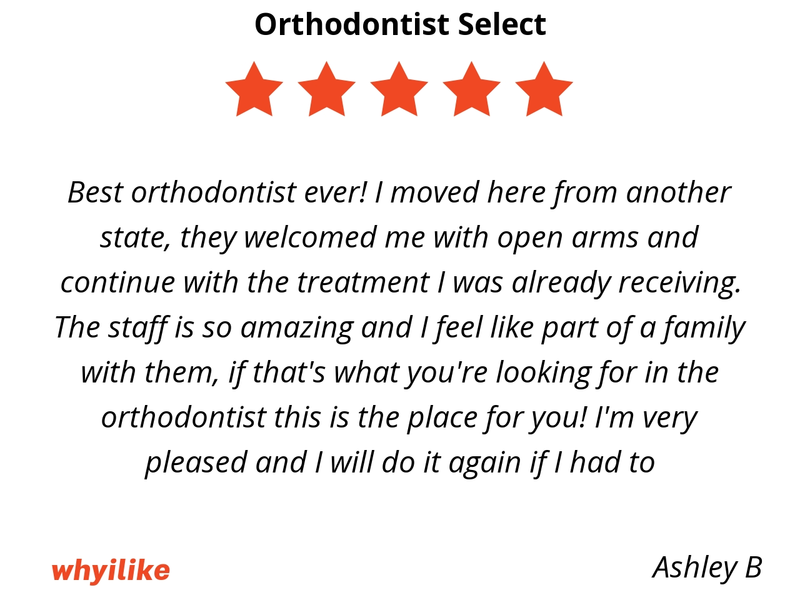 Orthodontist Select exists to educate and inform our neighbors and friends in Frisco, Allen, McKinney and surrounding neighborhoods about the differences between dental care providers. Patients should be well-informed so they can make the best decision for their family's unique orthodontic care needs. 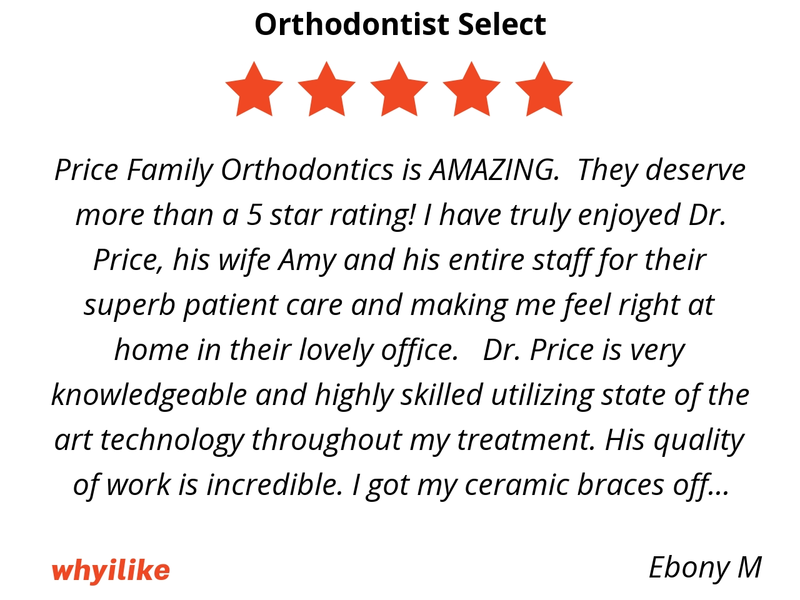 Price Family Orthodontics is AMAZING. They deserve more than a 5 star rating! I have truly enjoyed Dr. Price, his wife Amy and his entire staff for their superb patient care and making me feel right at home in their lovely office. Dr. Price is very knowledgeable and highly skilled utilizing state of the art technology throughout my treatment. His quality of work is incredible. I got my ceramic braces off ahead of schedule! Plus had some laser contouring done for the perfect finishing touch. I am extremely HAPPY with my results and highly recommend Dr. Price and Price Family Orthodontics. Amazing results. Love my daughter's beautiful smile and how thorough the doctor is in getting the best treatment. Best of all, appointments are ALWAYS quick and fit easily in our tight schedules. We love RxSmile! Both our daughters are receiving wonderful care here. 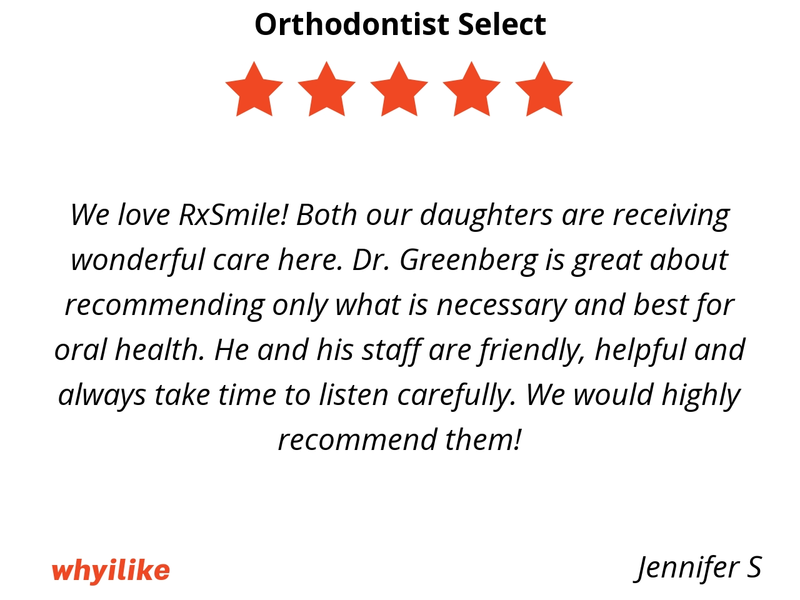 Dr. Greenberg is great about recommending only what is necessary and best for oral health. He and his staff are friendly, helpful and always take time to listen carefully. 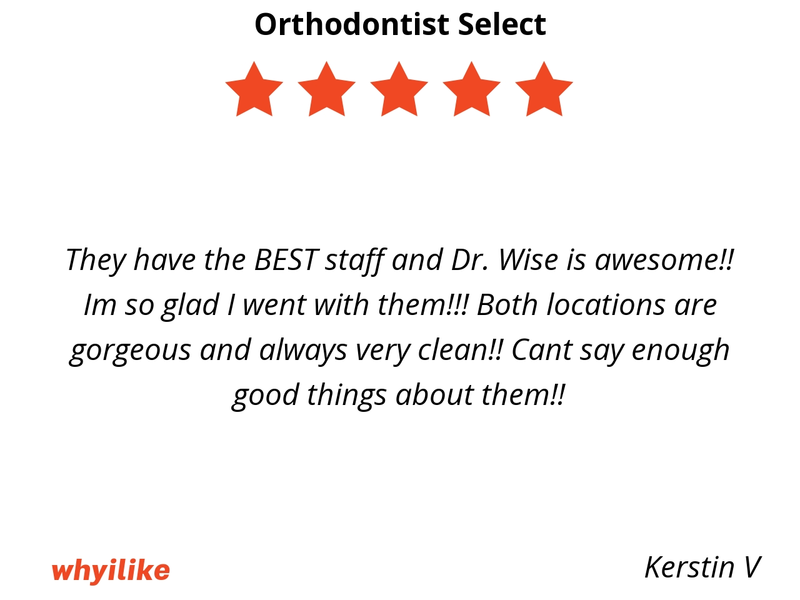 We would highly recommend them! 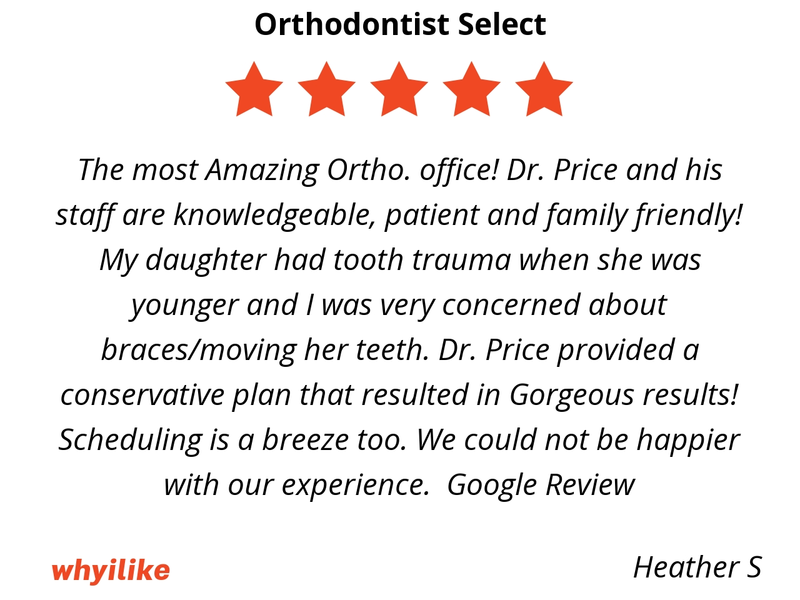 Google Review: We have been seeing Dr. Price for the last two years, first for my daughter and now my son. He and his staff are so friendly with my kids, and he really cares about their treatment. I trust that he won't do any unnecessary treatment, and wants to do what is best for the individual. I highly recommend him for any Orthodontic treatment. 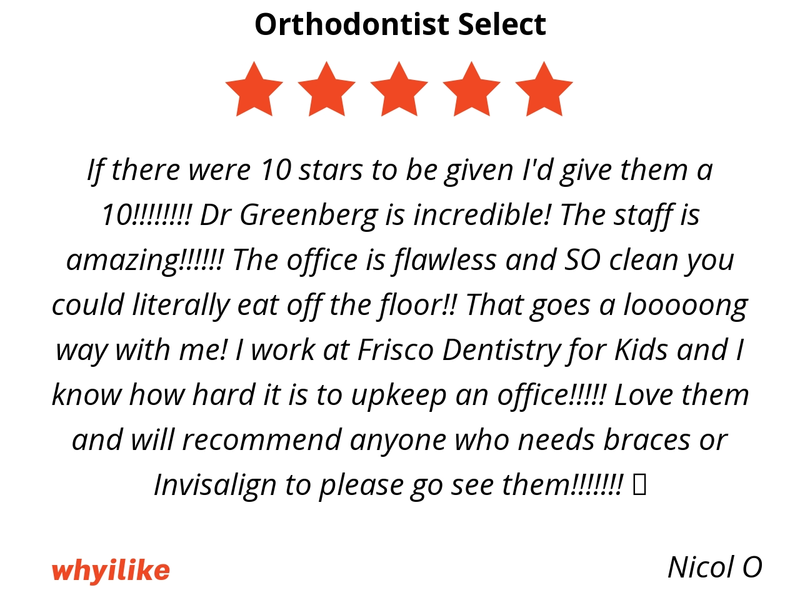 BEST FRISCO ORTHODONTIST. I've been to they're very welcoming since the first day we walked in they always have a smile on their faces and always know what to say and don't have a bad attitude about things they enjoy their jobs very pleasing and to think I was scared to be at the dentist/orthodontist they help a lot for sure glad I came in. What a great Orthodontist!! 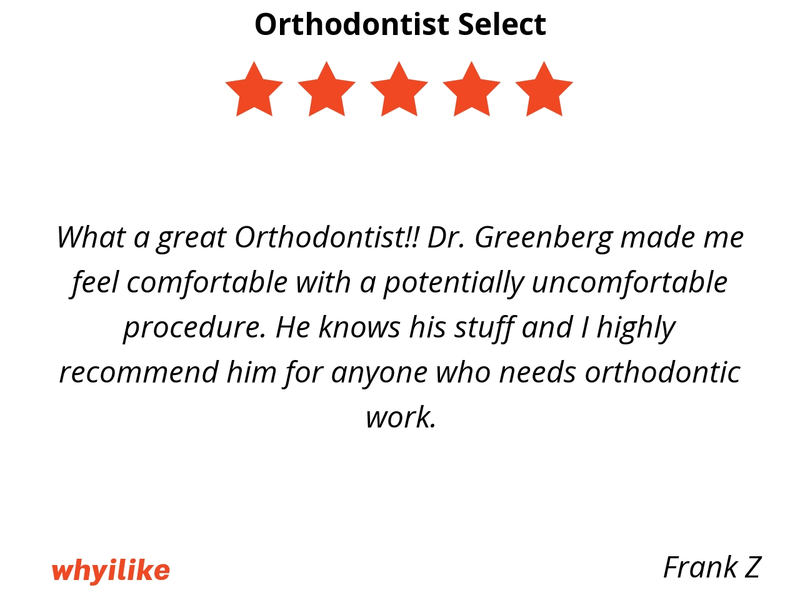 Dr. Greenberg made me feel comfortable with a potentially uncomfortable procedure. He knows his stuff and I highly recommend him for anyone who needs orthodontic work. Dr. 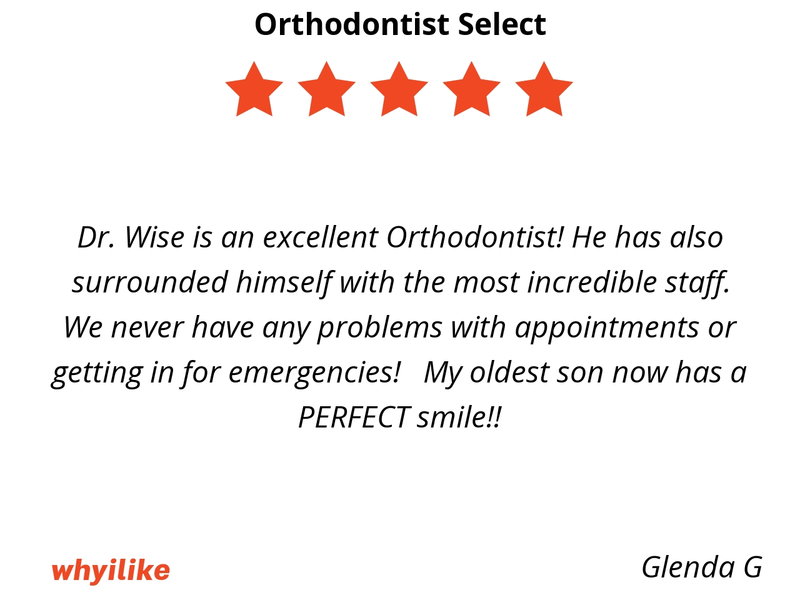 Wise is an excellent Orthodontist! He has also surrounded himself with the most incredible staff. We never have any problems with appointments or getting in for emergencies! My oldest son now has a PERFECT smile!! They have the BEST staff and Dr. Wise is awesome!! Im so glad I went with them!!! Both locations are gorgeous and always very clean!! Cant say enough good things about them!! 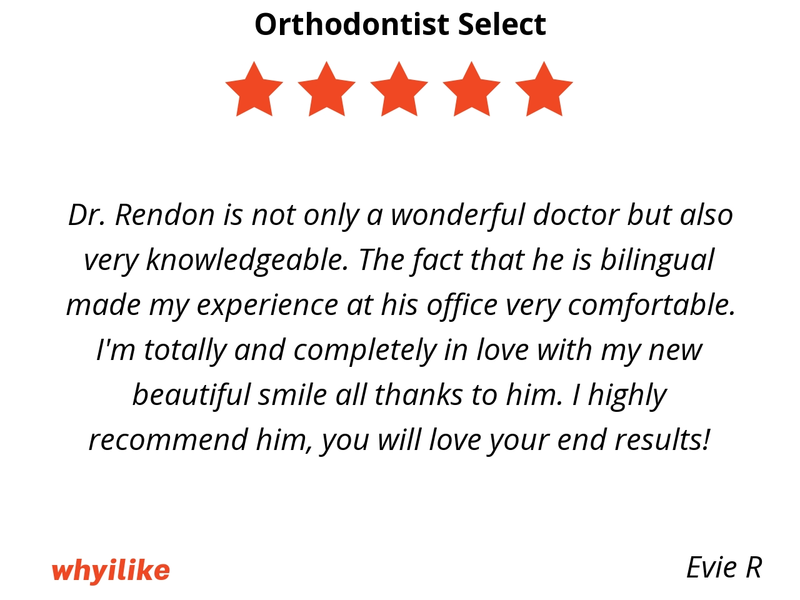 Dr. Rendon is not only a wonderful doctor but also very knowledgeable. The fact that he is bilingual made my experience at his office very comfortable. I'm totally and completely in love with my new beautiful smile all thanks to him. I highly recommend him, you will love your end results! 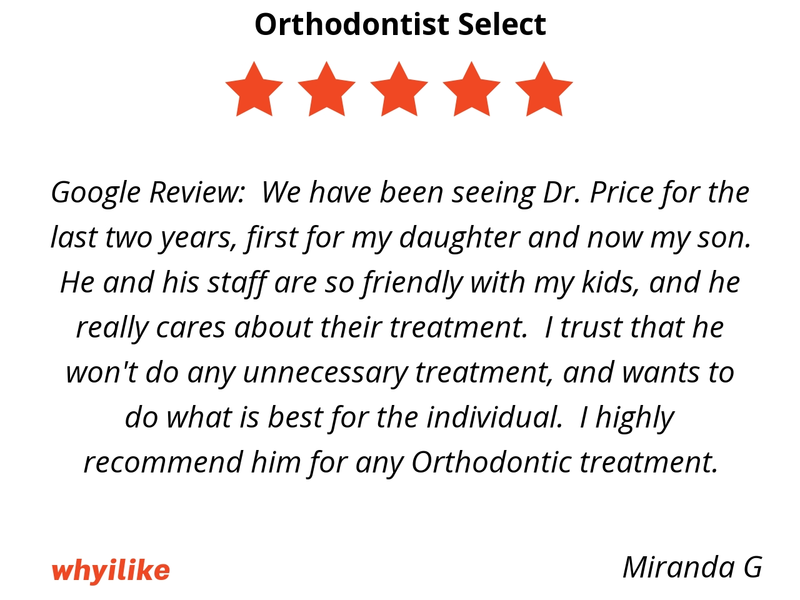 Dr. Price and his staff are very friendly and caring. We know we will be well treated every time we go. 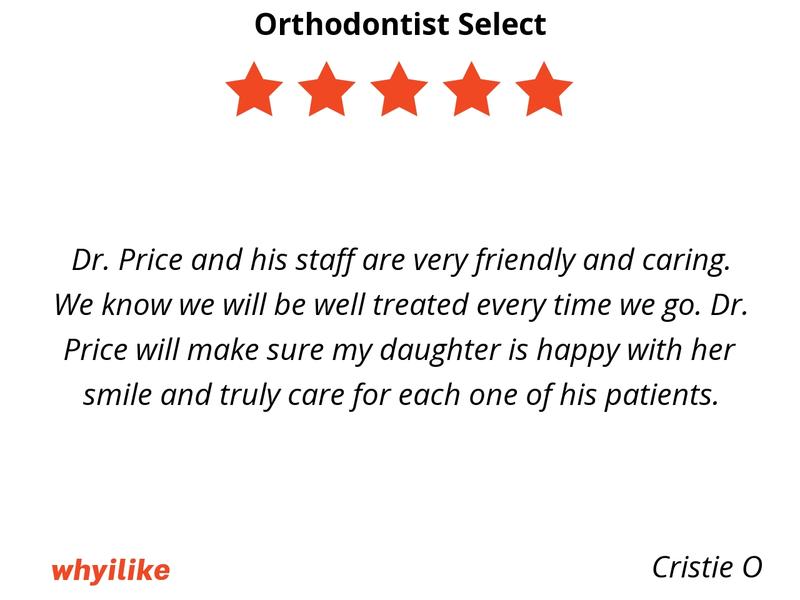 Dr. Price will make sure my daughter is happy with her smile and truly care for each one of his patients. Dr. Greenberg and his staff are amazing. 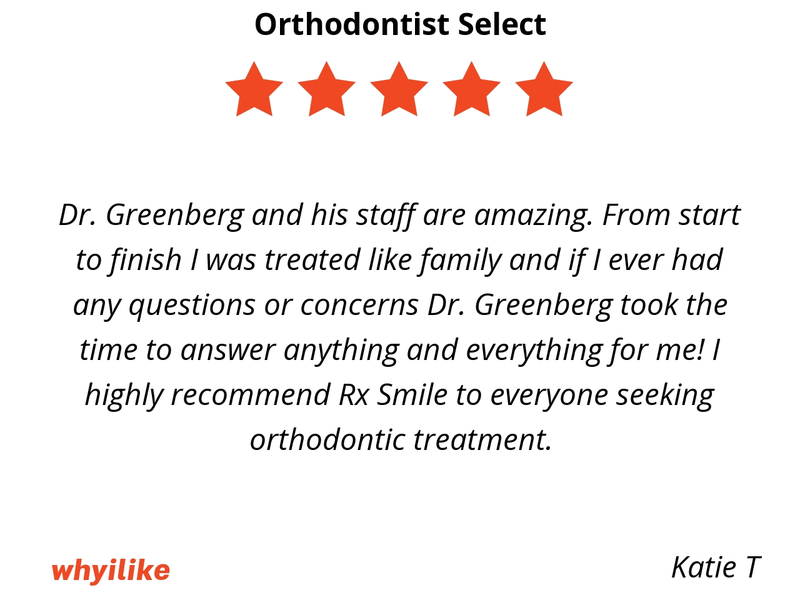 From start to finish I was treated like family and if I ever had any questions or concerns Dr. Greenberg took the time to answer anything and everything for me! 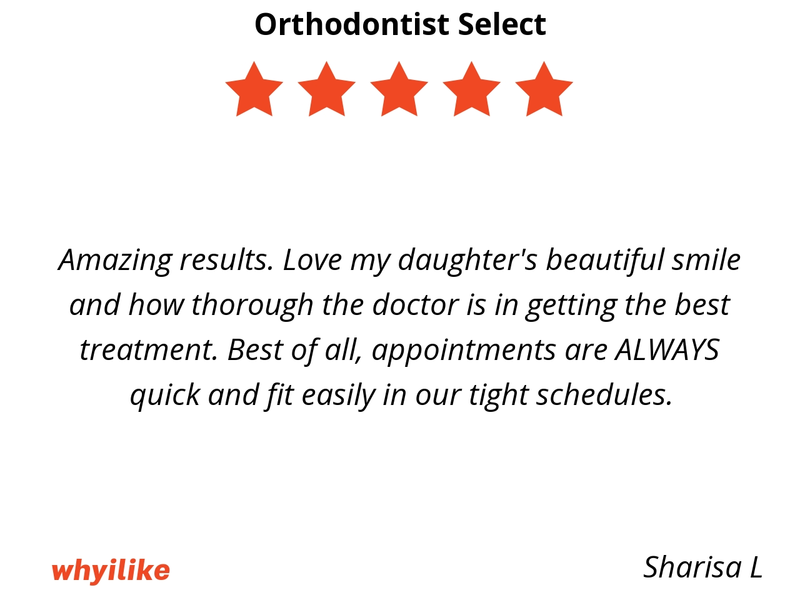 I highly recommend Rx Smile to everyone seeking orthodontic treatment.